Nowadays, many players perform in domestic, European and international competitions throughout the year, with teams amassing 50-60 games over a season. Because of this, the number of fixtures can increase drastically with two matches often being played per week (11). For this reason, we must understand, observe and interpret, the physiological markers of fatigue, to determine the effect on performance. Technological advancement has allowed us to better understand how movement demands can differ greatly between playing positions (4), with work at higher speed thresholds shown to be directly influenced by the opposition (7, 41), ability level and the advantage of playing matches at home (21). Research has also identified that teams losing in the second half or which are ranked lower in their domestic league, can cover greater distances at high intensity (14, 16). Studies have also revealed minimal variation in technical proficiency during congested fixture periods (11, 29, 42). Conditioning of elite players must inevitably develop the physical qualities necessary to endure repetitive match play and an ability to recover in short time periods. However, it is not simplistic enough to assume that a player is fatigued, should they run less high intensity distance from one game to the next. Match situations can sometimes dictate a player’s necessity to perform at higher intensities. Therefore, the use of metrics such as high intensity and sprint distance must be considered contextually. Rampinini et al. (2007) reported higher CV values for high intensity and sprint distance in comparison to total distance. Post-match fatigue and subsequent recovery in elite footballers has also depended on the number of hard accelerations and decelerations performed during play (36). Arruda et al. (2015) also found a significant reduction in accelerations/min during a professional youth football tournament. The ability to maintain an elevated number of accelerations during consecutive matches could be viewed as an important additional requisite in play, compared to the other more commonly used metrics. Due to the high variability of match-to-match high intensity running, the practical applications of these metrics need to be considered. It seems plausible that central and peripheral factors may be more reliable to monitor the state of fatigue. Players have also been shown to adopt individualised pacing strategies during matches. Lambert et al. (2005) highlighted the relationship between the teleoanticipatory governor centre (TGC) in the brain and perceived exertion. The central nervous system subconsciously controls exercise intensity, whilst the TGC interprets afferent sensations against anticipated outcomes. Following this, Noakes and Edwards (2009) summarised various pacing strategies into this multi-level model. There are many uncontrollable factors that influence time motion data, making it challenging to predict game by game variations in match fatigue. However, there are other parameters that are well researched and can be considered to mitigate fatigue and further to that, the risk of injury. It is worth considering that several studies highlighting reductions in high intensity output or acceleration count, have not implemented a structured post-match recovery strategy. Buchheit et al. (2011) found that youth players benefited from a structured post-match recovery strategy during a double game week, on measures of repeated match-running performance. Vaile et al. (2008) has also shown that cold-water immersion is effective in reducing the physiological and functional deficits associated with delayed onset of muscle soreness, including improved recovery of isometric force, dynamic power and a reduction in localised edema. Recovery strategies following games will undoubtedly vary between teams, yet successful implementation of practical, evidence-based procedures could potentially maximise recovery between games, controlling the notable reduction in performance parameters or injury. Dellal et al. (2013) and Carling et al. (2012) reported injury rates of 43.3 and 50.3/1000 hours of match exposure respectively, which is higher than figures reported from training. Understandably, the rigours of match play are considerably different to training, but the implementation of recovery strategies, low-intensity technical recovery and players self-controlling their activity will aid in maintaining high intensity performance during consecutive matches. Dupont et al. (2010) highlighted how 76% of the injuries sustained over a 67-game period, separated by 3-4 days were overuse injuries. An injury prevention programme was not implemented during this period and could explain such high figures. Regeneration strategies that do not affect match-related physical performance but allow for neuromuscular recovery, are warranted to minimise overuse injuries. Post-match analysis of the hamstring, the most commonly injured muscles in football (5, 24) has highlighted various levels of subsequent muscle damage. Nédélec et al. (2014) found isometric strength reductions of 6.7 ± 5.7% at 72 hours post-match. Ascensão et al. (2008) found a ~15% decrease in peak torque up to 24 hours post-match with strength reductions remaining at ~10% up to 72 hours after. Small et al. (2010) concluded that eccentric peak torque was significantly reduced by 16.8% over the duration of a 90-minute match. As a result, physical performance measures, such as sprint speed, can be affected in the days following both single and multiple matches per week (36, 44), as the capacity of the muscle to produce maximum force is diminished (35). This inability to produce the required force simultaneously to performing the necessary game-based movements is thought to increase injury risk (47). Ispirlidis et al. (2008) suggested it could take four to five days for pre-game 20m sprint performance to normalise. With limited recovery, this could be highly detrimental to performance, as research has shown the mean sprint distance covered during games is roughly 10-30m (13). Countermovement jump ability was also reduced during this period (1). Implementing injury prevention programmes can support the reduction in injury rate, but with limited time between matches, it is difficult to implement because the priority is to optimise recovery. According to Ekstrand et al. (2004), 60% of players who had played more than 1 match a week before the 2002 World Cup, incurred injuries or underperformed during the tournament. Lago-Peñas (2009), concluded that congested periods increase the risk of fatigue; in turn, exposing players to a greater risk of injury. Laboratory experiments have shown pre-fatigued muscles to absorb less energy before failure (31), whilst a study on Australian rules players reported that increases in knee extension during terminal leg swing following repetitive dynamic efforts (39), according to Thelen et al. (2005), would lead to greater strains, particularly to the hamstring. Dupont et al. (2010) stated that team injury incidence whilst competing in multiple games over a space of four days, was dramatically elevated compared to other members of the team who had not competed as regularly. Using twitch interpolation to measure post-match fatigue, Rampinini et al. (2011) found an ~8% drop of % voluntary activation (VA) which suggests central neural drive has been affected during a match. This may have influenced maximal voluntary contraction (MVC) along with other maximal activities such as sprinting. This may be more relevant when observing half-to-half changes in intensity as these figures seem to return to normal within 48 hours. However, accumulating fixtures over a season could alter these figures should other physical capacities also become affected. In general, fatigue factors relating to performance diminution and insufficient recovery have previously been attributed to glycogen depletion (27, 34), restricted regeneration time for energy replenishment(22), increased concentrations of muscle-damage markers such as creatine kinase, lactate dehydrogenase (45), inflammation (25) and other various immune and endocrine responses to matches (18, 23, 50). Further associated factors linking fatigue with hamstring strain injuries for example include alterations in technique and reductions in coordination and muscle recruitment patterns (12). Studies into match-to-match variability have influenced professional practice and various uncontrollable factors have brought mixed conclusions on teams’ ability to cope with congested schedules. Physical parameters have been shown to decrease hours after a match and may have affected the risk of injury, without significantly affecting total distance, high intensity and sprint distance. The observation of locomotion parameters is too sensitive to claim that repetitive matches will significantly affect physical output. However, further consideration of mechanisms related to strength, power and speed must be addressed to counter injury risk. Research indicates that high intensity activity in elite football match-play is influenced by both playing position, previous in game activity and subsequent success of the team. Analysing matches in close-proximity is important when considering players’ productivity with regards to tasks relative to their position. Locomotion data should also not be used as a measure of performance quality. A player can play well and execute tactical instruction efficiently, yet their game data be lower compared to normal values. Skill tasks have been shown to be not overly affected by central or peripheral fatigue indicators in elite players, whereas it may be the case at a lower level. Training methods should account for lower level players who are potentially less conditioned and more susceptible to fatigue, meaning skill tasks could consequently become more affected. This may indicate that overall technical and tactical effectiveness of the team rather than high levels of physical performance per se are more important in determining success in football during congested periods. Andersson H, Raastad T, Nilsson J, Paulsen G, Garthe I, Kadi F. 2008. Neuromuscular fatigue and recovery in elite female soccer: effects of active recovery. Med Sci Sports Exerc, 40(2), 372-380. Arruda AF, Carling C, Zanetti V, Aoki MS, Coutts AJ, Moreira A. 2015. Effects of a very congested match schedule on body-load impacts, accelerations, and running measures in youth soccer players. Int J Sport Phys Perform, 10(2), 248-252. Ascensão A, Rebelo A, Oliveira E, Marques F, Pereira L, Magalhães J. 2008. Biochemical impact of a soccer match – analysis of oxidative stress and muscle damage markers throughout recovery. Clin Bio, 41, 841-851. Bloomfield J, Polman R, O’Donoghue P. 2007. Physical demands of different positions in FA Premier League soccer. J Sport Sci Med, 6, 63-70. Bradley PS, Portas MD. 2007. The relationship between preseason range of motion and muscle strain injury in elite soccer players. J Str Con Res, 21(4), 1155-1159. Buchheit M, Horobeanu C, Mendez-Villanueva A, Simpson BM, Bourdon PC. 2011. Effects of age and spa treatment on match running performance over two consecutive games in highly trained young soccer players. J SportSci, 29(6), 591-598. Carling C. 2011. Influence of opposition team formation on physical and skill-related performance in a professional soccer team. Eur J Sport Sci, 11(3), 155-164. Carling C, Le Gall F, Dupont G. 2012 Are physical performance and injury risk in a professional soccer team in match­play affected over a prolonged period of fixture congestion. Int J SportsMed, 33(3), 36­42. Carling C, Orhant E, Le Gall F. 2010. Match injuries in professional soccer: inter seasonal variation and effects of competition type, match congestion and positional role. Int J SportsMed, 31(04), 271-276. Croisier JL, Ganteaume S, Binet J, Genty M, Ferret JM. 2008. Strength imbalances and prevention of hamstring injury in professional soccer players: a prospective study. Am J SportsMed, 36(8), 1469-1475. Dellal A, Lago-Peñas C, Rey E, Chamari K, Orhant E. 2013. The effects of a congested fixture period on physical performance, technical activity and injury rate during matches in a professional soccer team. Br J SportsMed, 1-5. Devlin L. 2000. Recurrent posterior thigh symptoms detrimental to performance in rugby union. Sports Med, 29(4), 273-287. Di Salvo V, Baron R, Tschan H, Calderon Montero FJ, Bachl N, Pigozzi F. 2007. Performance characteristics according to playing position in elite soccer. Int J SportsMed, 28(03), 222-227. Di Salvo V, Gregson W, Atkinson G, Tordoff P, Drust B. 2009. Analysis of high intensity activity in Premier League soccer. Int J SportsMed, 30(3), 205-212. Drust B, Reilly T, Cable NT. 2000. Physiological response to laboratory-based soccer-specific intermittent and continuous exercise. J SportSci, 18(11), 885-892. Dupont G, Nédélec M, McCall A, McCormack D, Berthoin S, Wisløff U. 2010. Effect of 2 soccer matches in a week on physical performance and injury rate. Am J SportsMed, 38(9), 1752-1758. Ekstrand J, Waldén M, Hägglund M. 2004. 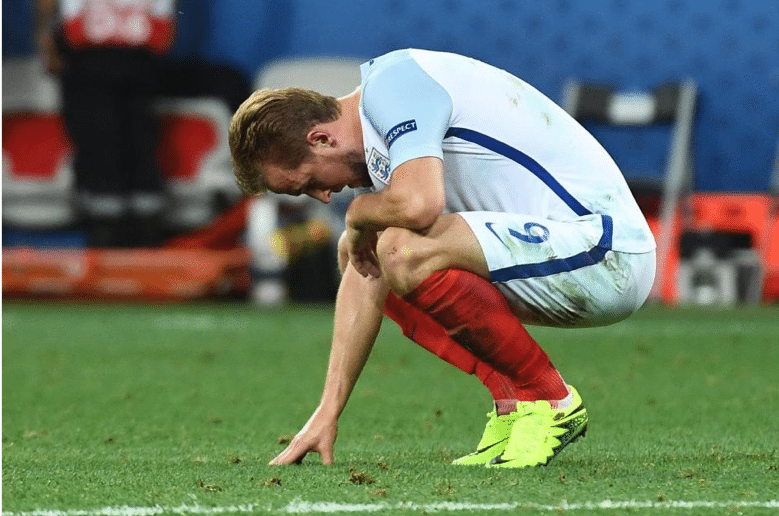 A congested football calendar and the wellbeing of players: correlation between match exposure of European footballers before the World Cup 2002 and their injuries and performances during that World Cup. Br J SportsMed, 38(4), 493-497. Fatouros IG, Chatzinikolaou A, Douroudos II, Nikolaidis MG, Kyparos A, Margonis K, Michailidis Y, Vantarakis A, Taxildaris K, Katrabasas I, Mandalidis D, Kouretas D, Jamurtas AZ. 2010. Timecourse of changes in oxidative stress and antioxidant status responses following a soccer game. J Str Cond Res, 24(12), 3278-3286. Faude O, Koch T, Meyer T. 2012. Straight sprinting is the most frequent action in goal situations in professional football. J SportsSci, 30(7), 625-631. Garrett JW. 1990. Muscle strain injuries: clinical and basic aspects. Med Sci Sports Ex, 22(4), 436-443. Gomez MA, Gomez-Lopez M, Lago C, Sampaio J. 2012. Effects of game location and game-related statistics in each zone of the pitch in professional football. Eur J Sport Sci, 12(5), 393-398. Gunnarsson TP, Bendiksen M, Bischoff R, Christensen PM, Lesivig B, Madsen K, Stephens F, Greenhaff P, Krustrup P, Bangsbo J. 2013. Effect of whey protein- and carbohydrate-enriched diet on glycogen resynthesis during the first 48 h after a soccer game. Scan J Med Sci Sport, 23(4), 508-515. Heisterberg MF, Fahrenkruq J, Krustrup P, Storskov A, Kjaer M, Andersen JL. 2013. Extensive monitoring through multiple blood samples in professional soccer players. J Str Cond Res, 27(5), 1260-1271. Henderson G, Barnes C, Portas MD. 2009. Factors associated with increased propensity for hamstring injury in english premier league soccer players. J Sci Med Sport, 13(4), 397-401. Ispirlidis I, Fatouros IG, Jamurtas AZ, Nikolaidis MG, Michailidis I, Douroudos I, Margonis K, Chatzinikolaou A, Kalistratos E, Katrabasas I. Alexiou V. 2008. Time-course of changes in inflammatory and performance responses following a soccer game. Clin J SportsMed, 18(5), 423-431. Junge A, Dvorak J, Graf-Baumann T, Peterson L. 2004. Football injuries during FIFA tournaments and the Olympic Games, 1998-2001: development and implementation of an injury-reporting system. Am J SportsMed, 32(1), 80S-89S. Krustrup P, Ortenblad N, Nielsen J, Nybo L, Gunnarsson TP, Iaia FM, Madsen K, Stephens F, Greenhaff P, Bangsbo J. 2011. Maximal voluntary contraction force, SR function and glycogen resynthesis during the first 72 h after a high-level competitive soccer game. Eur J App Phys, 111(12), 2987-2995. Lago-Peñas C. 2009. Consequences of a busy soccer match schedule on team performance: empirical evidence from Spain. Int SportsMed J, 10(2), 86-94. Lago-Peñas C, Dellal A. 2010. Ball possession strategies in elite soccer according to the evolution of the match-score: the inﬂuence of situational variables. J Hum Kin, 25, 93-100. Lambert EV, St Clair Gibson A, Noakes TD. 2005. Complex systems model of fatigue: integrative homeostatic control of peripheral systems during exercise in humans. Br J Sports Med, 39, 52-62. Mair SD, Seaber AV, Glisson RR, Garrett Jr WE. 1996. The role of fatigue in susceptibility to acute muscle strain injury. Am J Sports Med, 24(2), 137-143. Mohr M, Draganidis D, Chatzinikolaou A, Barbero-Alvarez JC, Castagna C,Douroudos I, Avloniti A, Margeli A, Pappassotiriou I, Flouris AD, et al. 2015. Muscle damage, inflammatory, immune and performance responses to three football games in 1 week in competitive male players. Eur J App Phys, 116(1), 179-193. Mohr M, Krustrup P, Bangsbo J. 2003. Match performance of high-standard soccer players with special reference to development of fatigue. J SportsSci, 21(7), 519-528. Mohr M, Krustrup P, Bangsbo J. 2005. Fatigue in soccer: a brief review. J SportSci, 23(6), 593-599. Nédélec M, McCall A, Carling C, Legall F, Berthoin S, Dupont G. 2012. Recovery in soccer: part I -post-match fatigue and time course of recovery. SportsMed, 42(12), 997–1015. Nédélec M, McCall A, Carling C, Legall F, Berthoin S, Dupont G. 2014. The influence of soccer playing actions on the recovery kinetics after a soccer match. J Strength Cond Res, 28(6), 1517-1523. Opar D, Williams M, Timmins R, Hickey J, Duhig S, Shield A. 2014. Eccentric hamstring strength and hamstring injury risk in Australian footballers. Med Sci Sport Ex, 46, 857-865. Parry L, Drust B. 2006. Is injury the major cause of elite soccer players being unavailable to train and play during the competitive season. Phys Therapy Sport, 7(2), 58-64. Pinniger GJ, Steele JR, Groeller H. 2000. Does fatigue induced by repeated dynamic efforts affect hamstring muscle function? Med Sci Sports Ex, 32(3), 647-653. Rampinini, E., Bosio, A., Ferraresi, I., Petruolo, A., Morelli, A., & Sassi, A. 2011. Match-related fatigue in soccer players. Med Sci Sports Ex, 43(11), 2161-2170. Rampinini E, Coutts AJ, Castagna C, Sassi R, Impellizzeri FM. 2007. Variation in top level soccer match performance. Int J SportsMed, 28(12), 1018-1024. Rampinini E, Impellizzeri FM, Castagna C, et al. 2009. Technical performance during soccer matches of the Italian Serie A league: effect of fatigue and competitive level. J Sci Med Sport, 12, 227-233. Rey E, Lago-Peñas C, Lago-Ballesteros J, et al. 2010. The effects of a congested ﬁxture period on the activity of elite soccer players. Biol Sport, 27,181-185. Rollo I, Impellizzeri FM, Zago M, Iaia FM. 2014. Effects of 1 versus 2 games a week on physical and subjective scores of subelite soccer players, Int J Sports Phys Perform, 9, 425-431. Rowsell GJ, Coutts AJ, Reaburn P, Hill-Haas S. 2009. Effects of cold-water immersion on physical performance between successive matches in high-performance junior male soccer players. J Sports Sci, 27(6), 565-573. Small K, McNaughton L, Greig M, Lovell R. 2010. The effects of multidirectional soccer-specific fatigue on markers of hamstring injury risk. J Sci Med Sport, 13(1), 120-125. Smith MP, Sizer PS, James CR. 2009. Effects of fatigue on frontal plane knee motion, muscle activity, and ground reaction forces in men and women during landing. J Sports Sci Med, 8(3), 419-427. Sugiura Y, Saito T, Sakuraba K, Sakuma K, Suzuki E. 2008. 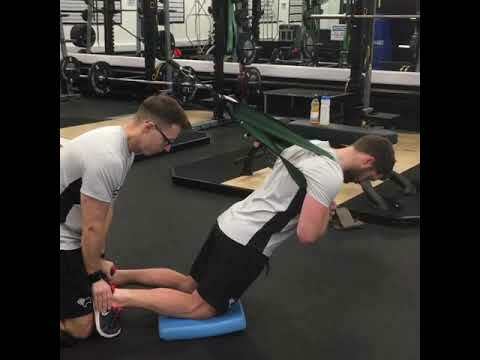 Strength deficits identified with concentric action of the hip extensors and eccentric action of the hamstrings predispose to hamstring injury in elite sprinters. J Orthop Sports Phys Therapy, 38(8):457-464. Thelen DG, Chumanov ES, Hoerth DM, Best TM, Swanson SC, Li LI, Young M, Heiderscheit BC. 2005. Hamstring muscle kinematics during treadmill sprinting. Med Sci Sports Ex, 37(1), 108-114. Thorpe R, Sunderland C. 2012. Muscle damage, endocrine, and immune marker response to a soccer match. J Str Cond Res, 26(10), 2783-2790. Timmins RG, Bourne MN, Shield AJ, Williams MD, Lorenzen C, Opar DA. 2016. Short biceps femoris fascicles and eccentric knee flexor weakness increase the risk of hamstring injury in elite football (soccer): A prospective cohort study. Br J SportsMed, 50(24), 1524-1535. Vaile J, Halson S, Gill N, Dawson B. 2008. Effect of hydrotherapy on the signs and symptoms of delayed onset muscle soreness. Eur J Appl Physiol, 102(4), 447-455.